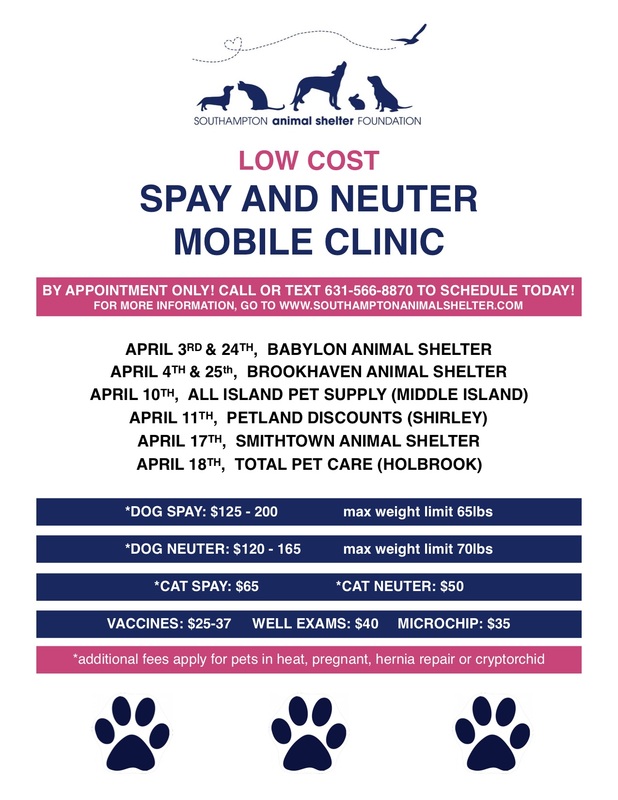 Our low-cost spay and neuter mobile clinic travels throughout New York State to help the community. 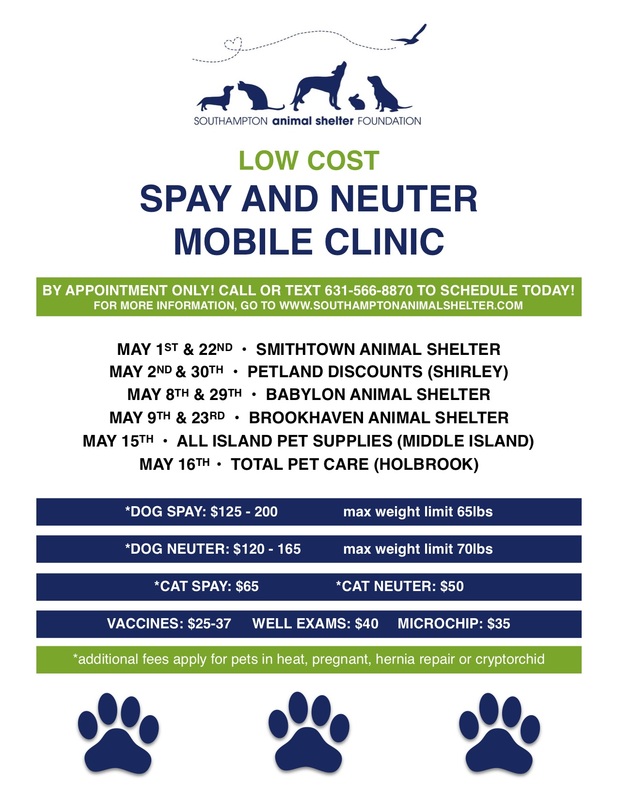 We are a mobile veterinary spay and neuter non-profit surgical clinic that operates out of a fully functional, state-of-the-art surgical room on wheels. 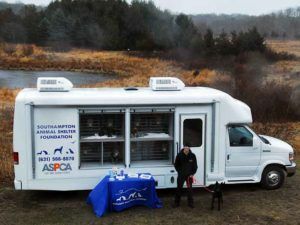 The SASF Mobile Clinic was granted to us by the ASPCA and travels throughout New York State. Our clinic is equipped with everything you would find in a veterinary operating room. We travel to underserved areas and offer low-cost spay and neuter surgeries for their pets. We also provide low-cost vaccinations as well as microchipping and nail trims. Please note: All vaccines must be given with a wellness exam, unless they are follow-up vaccines. For more pricing, click here! SASF is on a mission to help stop the overpopulation of pets through spaying/neutering. Our number one goal is to reduce the number of homeless pets in New York. We hope that one day, all pet owners will spay and neuter their pets therefore preventing unwanted litters. You can sponsor any one of the clinic services to help us achieve our mission.